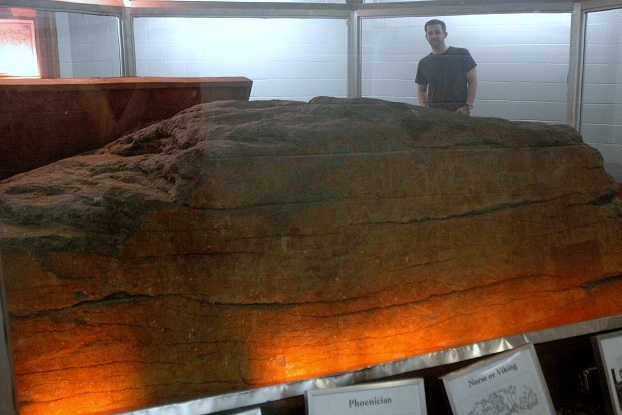 July 20, 2012 — Is there a more boring topic than a rock? Ha. Trick question. Rocks are one of the most interesting things on this planet (which itself is basically a rock). We fill our metaphors with them. Stick them at the head of our dead. Build castles, pyramids, and other lasting works of architecture from them. We carve them into breath-taking works of art. Heck, we even make pilgrimages to them. Rushmore? A rock. Everest? A rock. From the Rock of Gibraltar to Ayers Rock in Australia, rocks are pretty awesome. And while Dighton Rock is no Ayers Rock, it has its own reasons for people to visit it. Like bearing petroglyphs that nobody’s been able to decipher in more than 300 years. As a result, this is kind of a short story. 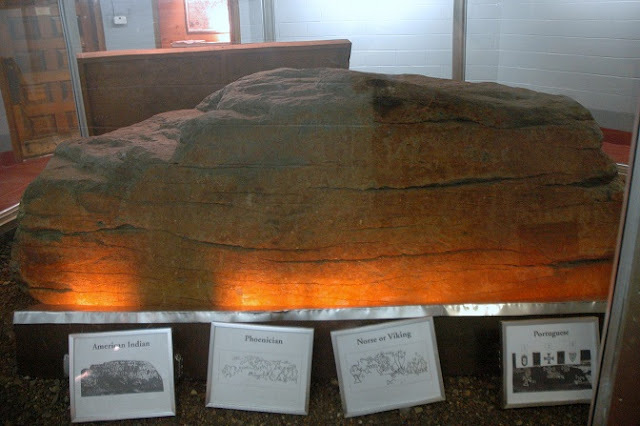 The 40-ton, sofa-sized glacial erratic was discovered by Europeans sometime in the 1600s in a river bed of what is now Berkley, Massachusetts. One of its sides was relatively flat, encouraging some unknown person or persons in the past to carve enigmatic patterns across the entire 11 x 4 face of the rock. 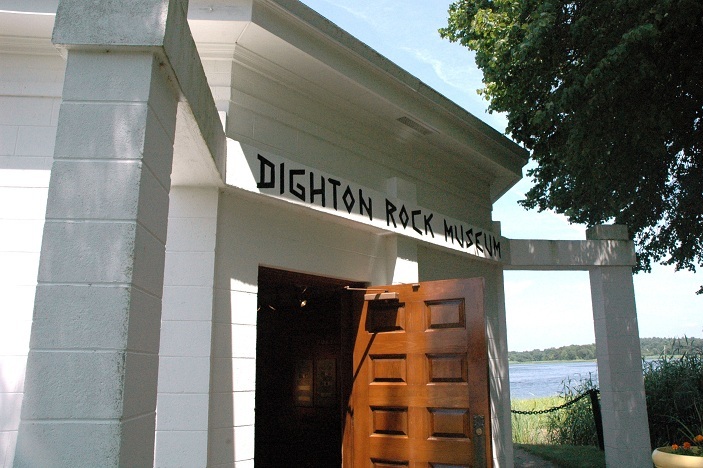 The tides of Taunton River covered Dighton Rock it for most of its life in the modern era, exposing it for just a few hours each day until the 1960s, when it was moved inland and had its own museum built around it. So now it’s a big rock in a building. Throughout the centuries, everybody from Cotton Mather to J.W. Ocker has written about this boulder. Theories on the source of the petroglyphs include everything you’d expect: Bored Native Americans, bored Vikings, bored colonists, bored Chinese, bored Phoenicians, bored aliens. Wait, bored Phoenicians? Seems unlikely. 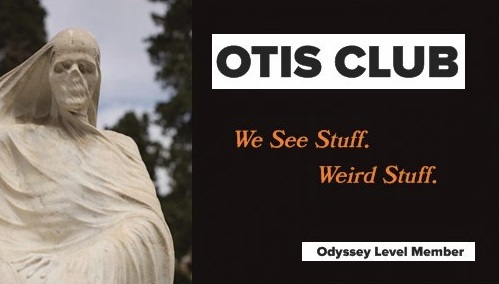 I’ll stick to my usual theory for matters such as this one: Some dude. Translation of the markings is a problem for a few reasons. 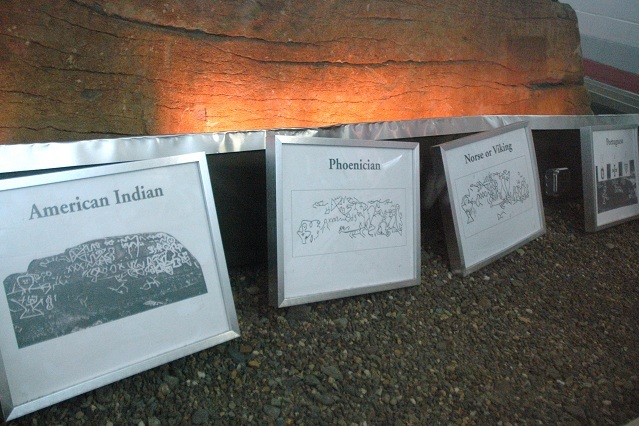 First, due to the wear over the centuries, no one’s really sure what the exact petroglyphs are. Second, no one can seem to agree on what language they’re from. Third, they’re probably meaningless doodles anyway. But that doesn’t mean you can’t try to decipher them for yourself. Today, the rock sits in an 85-acre park named after it off Bayview Avenue in Berkley. The website says that the small museum keeping the rain off the rock’s runes is open by appointment only, but it was open when we randomly dropped by. I assume somebody else made the appointment. 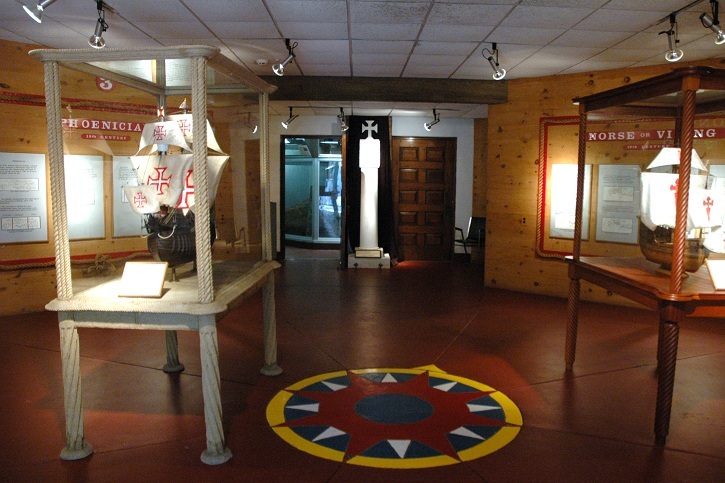 The museum is right on the water and small, with only two rooms. The first is a foyer of sorts with information on the walls covering some of the various theories as to the origin of the markings. It also has a pair of model ships on display, one of Magellan’s Caravel Victoria and the other of de Gama’s Nau Sao Gabriel. The back room is completely taken up by a circular floor-to-ceiling glass case with a thin walkway around it. Inside that tank squats the Dighton Rock like it’s the main feature of a zoo-sized terrarium. The rock is lit from below, to highlight the engravings, I assume. They definitely needed something. I could barely discern the markings, which were just a foot or so away from me. 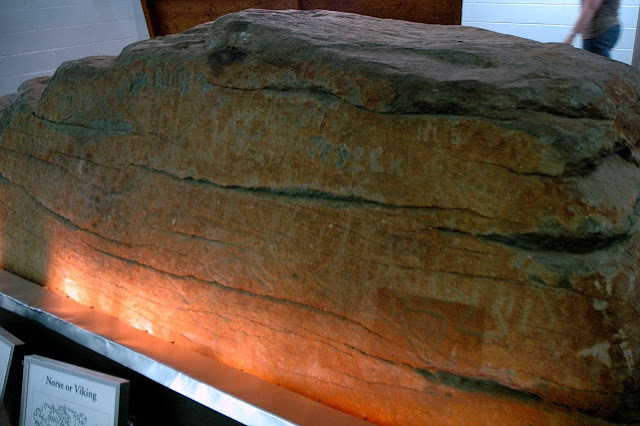 Images of the rock online show markings that have been enhanced with chalk or some such, or they just skip the photo in favor of illustrations of the petroglyphs. When I visited, the door to the glass cage was actually unlocked, so I entered the enclosure and inspected the rock up close. Not that it helped. The markings are just really hard to make out [with]. I was also tempted to copy this guy, but I’m a coward/responsible person. In the end, I think the moral of the Dighton Rock story is that you should carve inscrutable things into every boulder you see. You’ll make the future a more interesting place.